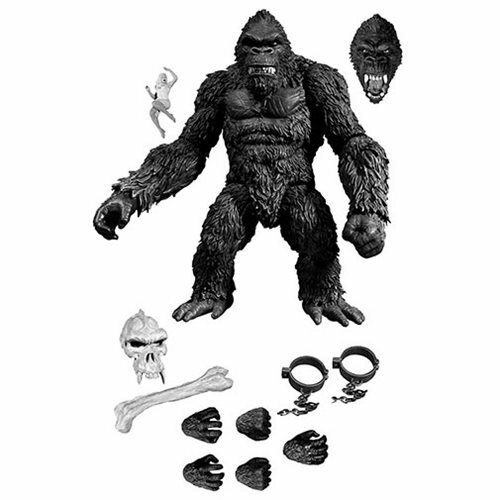 The King Kong of Skull Island 7-Inch Black and White Version Action Figure - Previews Exclusive stands approximately 7-inches tall, is designed with over 25 points of articulation, and includes interchangeable hands and head portraits. He also includes a set of shackles with real chains and a scaled Ann Darrow figurine for a ton of posing options! The figure comes packaged in a collector-friendly window box, perfect for display, and is the perfect addition to any fine monster collection.